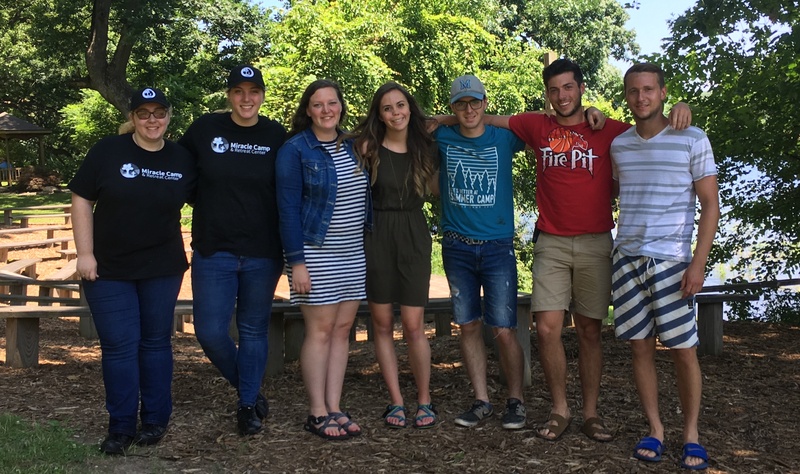 We are excited to introduce you to our seven current interns in the Miracle Camp GAP Year Ministry! This program is a great way for exiting high school and college students to gain practical experience and discover their purpose. It provides interns with hands-on opportunities to grow in their vocational skills, knowledge, and the calling Christ has placed on their lives, whether it leads to a career in Camping ministry or simply the next place God is directing. Each of them has a unique story of how God led them to Miracle Camp and what they hope to accomplish in their time here. Katie is from Nampa, ID, and is one of our Culinary Arts interns. Her dad used to be the youth pastor at Lawton Church for eight years before they moved to Idaho. She heard about the internship and decided to come because of her familiarity with Miracle Camp. Over the next year, she hopes to learn more about cooking and different techniques in the kitchen, and she is excited for building strong friendships while she’s here. Kaity is also a Culinary Arts intern and the most local of the bunch, coming from Vicksburg, MI. She found out about Miracle Camp from a friend during a time when she was unsure about her next steps in life. After praying about this opportunity, she believes God very clearly led her here. Through this new experience over the next year, she hopes to grow both spiritually and in knowledge of culinary arts. Margaret is from Upland, IN, and very familiar with Miracle Camp as she grew up as a camper and camp aide. Camp has a large place in her heart and she wants to give back in the way that it has given so much to her, crediting it for making her who she is today. Margaret graduated from Taylor University in 2017 with a degree in Christian Ministries and Biblical Studies. She is one of the Guest Services interns, and in her time over the next year she hopes to learn more about the behind-the-scenes of camp, gain more business experience, and discover how to serve guests by giving them the best possible experience. Micayla, originally from Hays, KS, is the other Guest Services intern. She felt God leading her to Michigan and has always been interested in Camping ministry. When she discovered Miracle Camp’s GAP Year ministry online, she knew He provided this opportunity. Micayla has her bachelor’s in Christian Ministry from Southwest Baptist University and recently completed her master’s online through Liberty University in Professional Writing. She is excited to discover more about Camping ministry while learning how to better serve people, further her writing skills, and grow in community with others and relationship with Jesus. Caleb, from Bellefonte, PA, is no stranger to Miracle Camp. He started coming to Family Camp at age 10 and has since come nearly every year. Caleb graduated from Penn State in May, and he is here for the summer as a Shake Up Kalamazoo intern. During this season, he is excited to help serve the people of the Kalamazoo area. Additionally, he looks forward to growing personally in his faith and knows that this is a great place for that. Coming from Illinois, Michael began the GAP Year Ministry a year ago in Guest Services. He has been on Summer Staff since 2014, and the opportunity for the internship arose after last summer. Since then, he has switched over to the Health Officer internship. He believed God called him to the program, while also knowing if he didn’t pursue this possibility, he would regret it. Michael will finish his year this August and then move to Chicago, where he hopes to adjust well to city life. He is excited to stay open and see what God has in store for the next season. Wyatt, our Maintenance intern from Montpelier, OH, is well acquainted with Miracle Camp. He began his time here as a camper in the third grade and has been coming ever since. Wyatt was then on Summer Staff for two years prior to becoming an intern. He began the GAP Year Ministry shortly after, and has already spent a year with Miracle Camp as an intern. Wyatt will be completing another year in the program, and we are excited to have him here a second year. The three main purposes of the Ministry are: 1) Discovering gifts; 2) Building vocational skills; and 3) Exploring calling and life plan. If you would like to find out more about our intern program, click the button below! Family Camp Starts Next Week! Family Camp is almost here!! We are so excited for our grounds to be filled with 41 families next week. 184 people will be attending July 4 – 7th, with 70 of those being kids. These fun-filled days ahead will include engaging sessions, adventure, delicious food, and of course, quality family time. Our speaker for the week is Nate Hamblin. 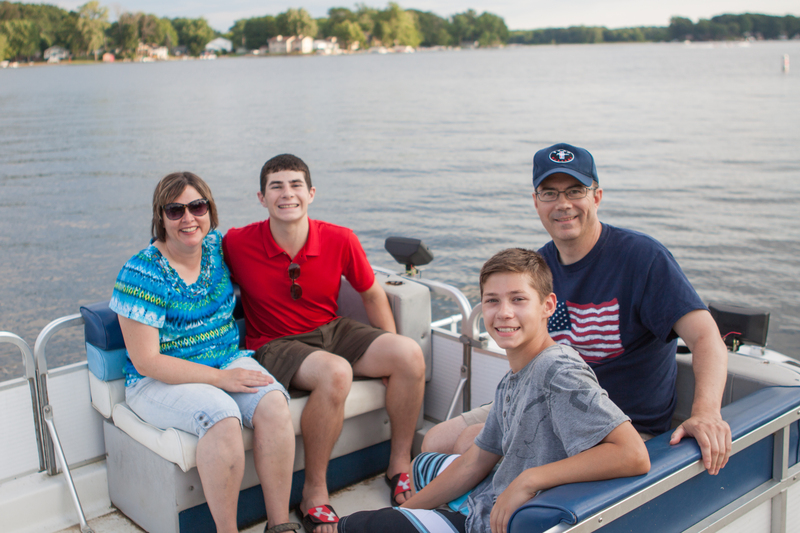 Nate and his family are from Adrian, MI, and have been long-time attendees of Family Camp. We are delighted to welcome them back and hear from him next week. The craft shack and coffee shop will be ideal for pausing to refresh in the midst of all the action. We love providing a place for families to bond over games, worship and pray together, and enjoy God’s creation in a relaxing atmosphere. It doesn’t get much better than wrapping up the summer days as families will enjoy the campfire time, complete with s’mores. 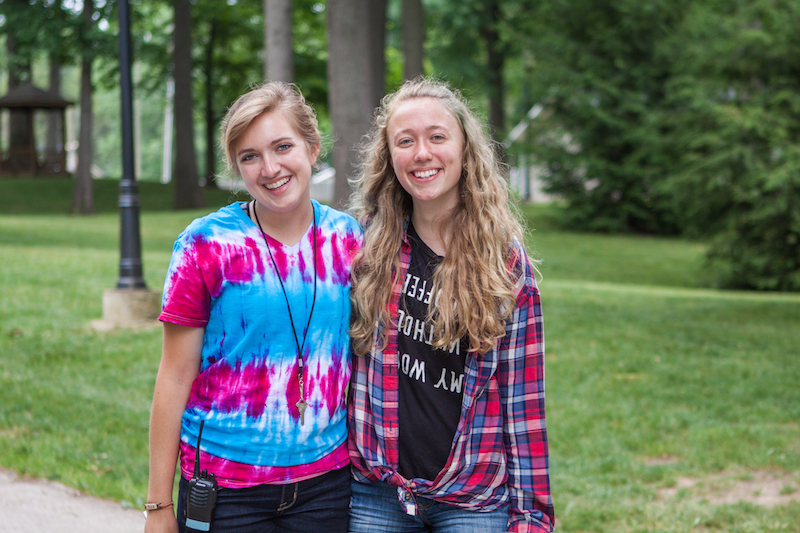 If you would like to see more about what happens at Family Camp, click the button below! Kids shout with echoes of delight. Boats hum with ecstatic tubers on the lake. The zipline whirs in the distance. Birds chatter in the trees near the archery, paintball station, and high ropes course. Worship music floats out the chapel door. What do these sounds have in common? They are all heard at Miracle Camp! 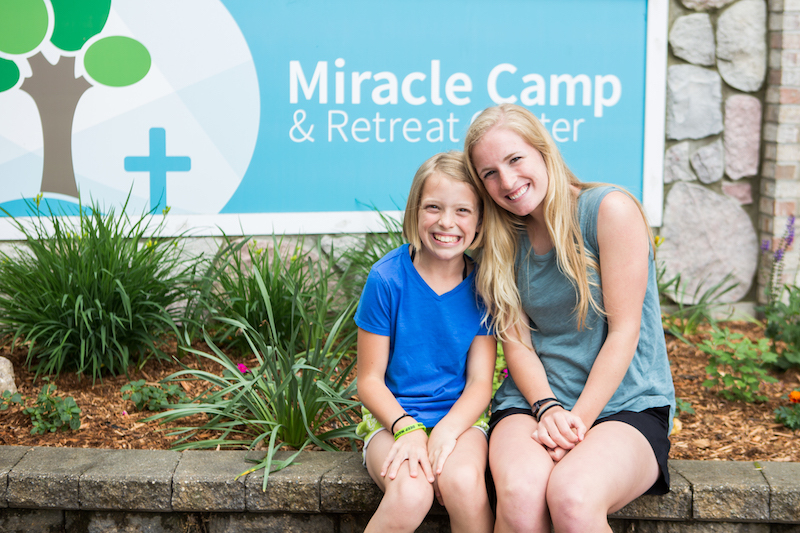 In today’s non-stop society running on caffeine and jam-packed schedules, you could describe Miracle Camp as an oasis. The camp’s layout perfectly complements the surrounding nature, resulting in a pleasant place of respite. The waterfront view, winding trails, and myriad of activities provide high-quality adventure. An aura of wonder fills the air, allowing space to slow down and enjoy life. What could be better than the small-town feel with the 100+ acres of land offering opportunities to play, relax, and wander? Adding to the beauty, the sense of community at Miracle Camp is prominent. Joy radiates from the staff as you pass them within the comfort of Bankson Lodge. Their inclusiveness embodies the love of Jesus, and you will smile as the housekeepers greet you by name on your way to breakfast. The 45 Summer Staff and 11 Program Office leaders serve with a genuine sense of caring, leaving no one a stranger for long. One of the seven interns runs from one activity to the next, waving as you head to the beach for some kayaking. The top-notch hospitality creates a home away from home. Prior to your arrival, each staff member is equipped with proper training, provided with opportunities for discipleship, and encouraged to employ a component of personal retreat. These elements are necessary as the teams prepare for a busy season hosting campers and guest groups. Organization is key, and arrangements for comfortable lodging, delicious food, and an exciting itinerary are drawn up to ensure the success of your stay. While many roles of the staff are obvious, the behind-the-scenes people and work are just as important to the most efficient and successful functions of this camp. You may notice the cleanliness, but miss the woman diligently sweeping the room or the man power-washing the windows. You may observe the beautiful landscape, but not see the ones spending hours on their hands and knees planting flowers. Behind your enjoyable stay were hours spent on the phone and in the office in preparation. Frequently, the Friends of Camp, the regular volunteers, are onsite contributing to the work that plays a powerful role in the daily operations. The whiff of a campfire drifts through the evening breeze, mixing with a hint of freshly mowed grass. From the interactions with the staff to pleasant accommodations to activity preparations, bringing glory to God is evident throughout every detail. The safe and relaxing atmosphere at Miracle Camp offers loads of laughter, stretches of rest, and opportunities to encounter Jesus. 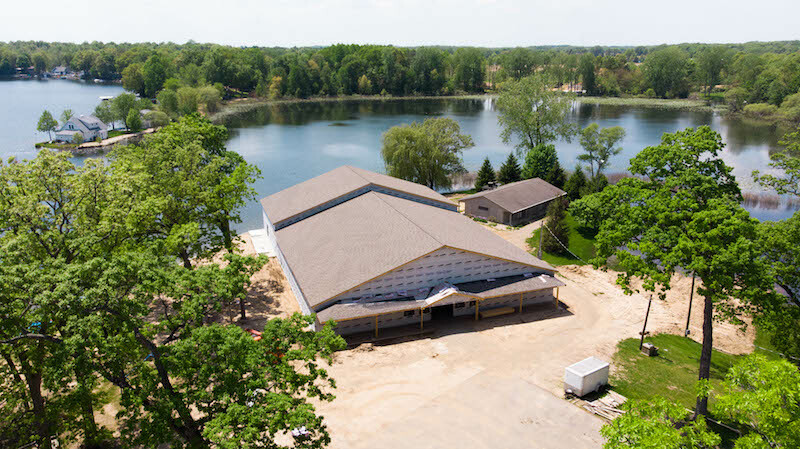 As you pass the lake on your way out, you will glance back at Miracle Camp in your rearview mirror with a renewed spirit, happy memories, and the anticipation of planning your return trip. If you would like to find out more information about Miracle Camp, click the button below! Summer Camp is Finally Here!! Summer Camp is one of our favorite programmed events that we put on here at Miracle Camp. Every year, we love seeing the hundreds of kids that come to camp and hear the message of Jesus Christ preached. We are just finishing up our first week of camp with over 120 middle school campers who have been busy ziplining, enjoying the waterfront, making lots of new friends, and diving into the book of Philippians during our chapel sessions. Our staff has had a blast putting everything they’ve learned in training over the past couple weeks into action as they care for and encourage the campers who are in their cabins. This year we will have over 1,300 campers come through our doors and 46 summer staff who oversee everything that has to do with Summer Camp. Our ministry here at camp isn’t all about numbers, but we are always excited to have the opportunity to see the Gospel preached to more and more kids every year! We are so excited to share with you the progress we have made on the Evergreen Project this year! It is hard to believe that in just a couple months one of our cabins can look so different. Only so much can be communicated in words to describe this renovation. That being said, we would love to give you a better picture on just how much work has been completed on Evergreen through this short timelapse video showing everything that we have done so far this spring! As you can see, there has been so much progress on this renovation. We always want to thank you for your support of Miracle Camp and the Keeping Faith Campaign. Because of your generosity, Miracle Camp can continue to grow and share the Good News of Jesus Christ with more and more guests every year! We would love to continue making camp a better place for our guests and we know that we can’t do that alone. If you would like to learn more about the Keeping Faith Campaign, or would like to donate, click the button below! What We Teach Our Summer Staff: Fun! With our staff all here and campers coming in just a few short days we are so excited to share with you how our staff is preparing for Summer Camp and how much we long for your camper to have the best week ever! It might sound shallow, but we truly hope that every camper has one of the best weeks of their life while they are at Miracle Camp. We truly do believe that campers have as much fun here as at Disney World! Our summer staff makes it a priority to put in the extra effort to plan creative activities for Summer Camp. Our all camp games, like Gold Rush, are some of our favorite activities that we program. Every year, we love using our creativity to provide new and excited games and activities for our campers. We have be blessed with lots of awesome things that provide an experience that is way different from anything that our campers could do at home over the summer. Some of our favorites include our zipline, climbing wall, tubing, the blob, paintball, and so much more! Camp wouldn’t be the same without the other campers and staff members that your child will meet while they are here at camp. It always brings a smile to our faces to see the friendships that campers can make after just a week of being together. It is such a joy to us to see campers having one of the best weeks of their lives here at Summer Camp. If you would like to check out more about Summer Camp, or if you would like to register, click on the button below! Our Program Office staff has been here for almost a week now preparing for Summer Camp this year! We are so excited for the rest of our summer staff to arrive this upcoming Tuesday and begin training for this summer. As we touched on last week, safety is our number one priority. Right along with it, though, spiritual growth is one of the main reasons we exist and put so much effort into our Summer Camps. Right behind safety, our second priority at summer camp is to make sure that each camper grows closer to God while they are here. We want to make sure that the Bible is preached clearly and relevantly to every camper and that each counselor challenges campers to apply God’s word to their life. Our desire is to see you son or daughter learn more about Jesus Christ and grow in their walk with Him. Another way that we encourage and challenge your child in their walk with the Lord is through one on one conversations they have with their cabin leader. These discussions are put into place so that each cabin leader can help each camper grow closer to God personally. Our staff is trained to challenge students to read and apply God’s word and to spend time in prayer. Campers get to experience 2 chapel sessions each day that include worship and a Bible teacher who will communicate God’s word on a level relevant to the age of the campers. We believe that the Bible is powerful and changes lives and we want campers to experience this each week. After the morning chapel session, campers will spend some time outside with their Bible and daily devotional. Our desire is to see campers reading and studying God’s Word both here at camp and continue these habits as they go home. Each cabin will also come together after each evening chapel session for cabin devotions. These times provide a space for cabin leaders to lead discussions on what the speaker talked about during the session and allow campers to see how this topic applies to their life now. Our staff is focused on helping people know God in a deeper way. 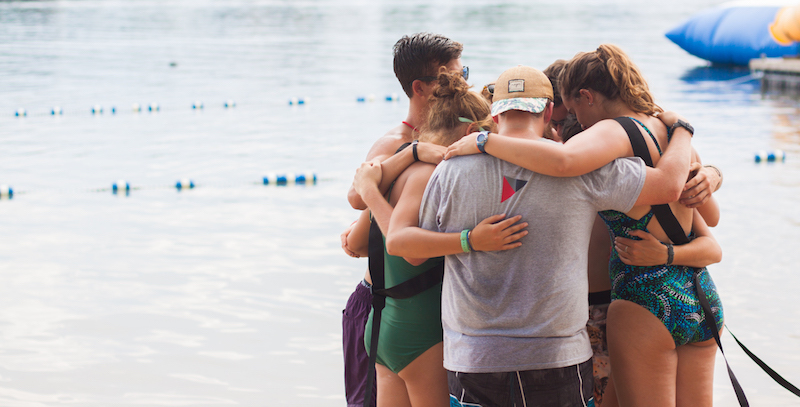 We believe that relationships are the heart of ministry and each summer, our Summer Staff will pour their hearts and lives into the campers in their care. If you want to see more about what Summer Camp is like, click on the button below! Our Summer Staff starts arriving to camp in just a few short days! As we prepare for this summer, we want to give you a little insight on some of the things we teach our Summer Staff! Our first summer camp priority is safety and we take it very seriously. 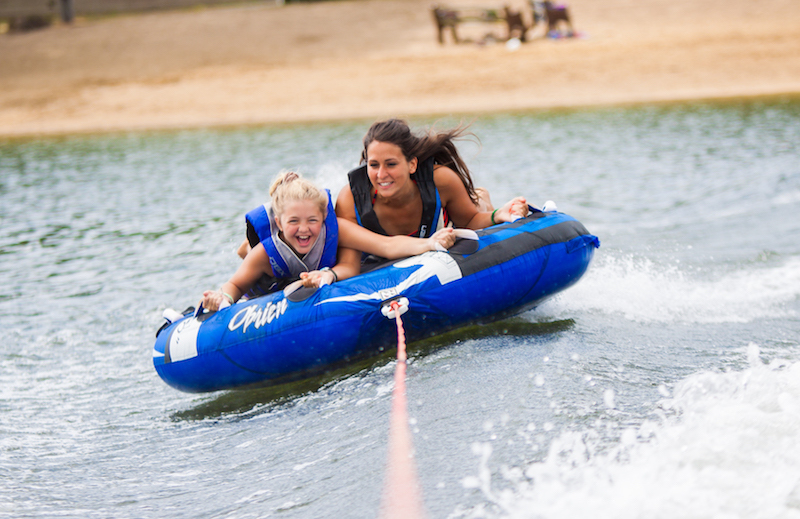 We have safety training, policies and background checks in place to ensure your camper will have a safe week of camp. But the most important thing we do for safety is take hiring seriously. We believe that our staff is one of the safest summer camp teams in the nation. During our staff training, we spend numerous sessions preparing our staff for a myriad of issues that could arise during a week of Summer Camp, including topics such as homesickness, bullying, and what to do in an emergency situation. We prepare our staff to always value safety over any other aspect of camp. Each week of summer camp, we have trained medical staff who are qualified to handle a potential emergency situation. We take every precaution to make sure everything we do is as safe as possible and we make sure we are prepared if an injury or emergency should arise. We also hire 8 lifeguards to be at the waterfront during free time, which is 6 more than is required by law. Safety is the most important aspect of our Summer Camp and we do everything that we can to make sure you child is safe while they are here at camp. If you would like more information about our Summer Camps, click on the button below!